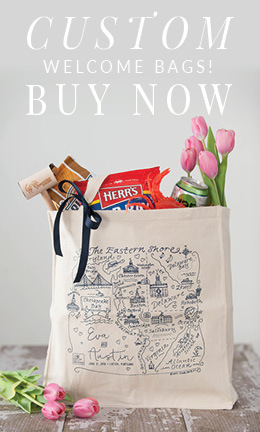 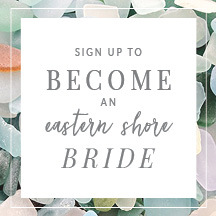 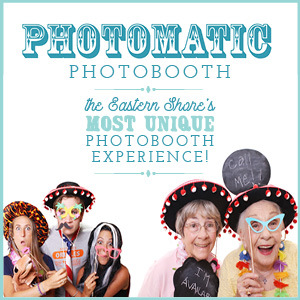 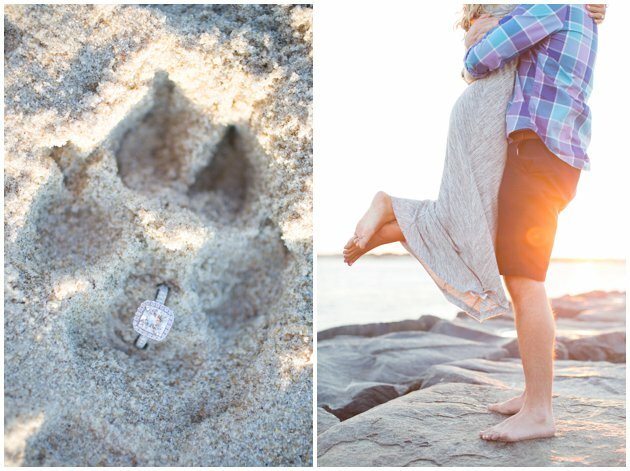 All of these warm-weather teases have us dreaming of sunshine and beach days! 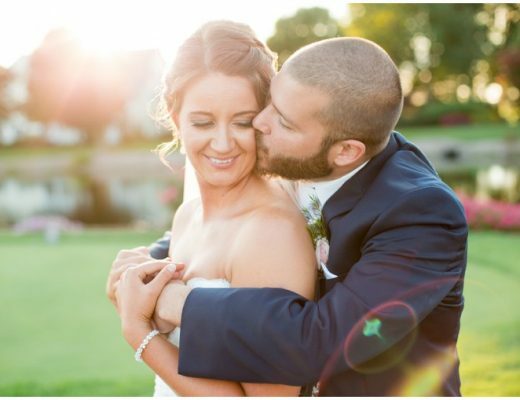 Days just like this one, captured by Laura’s Focus Photography. 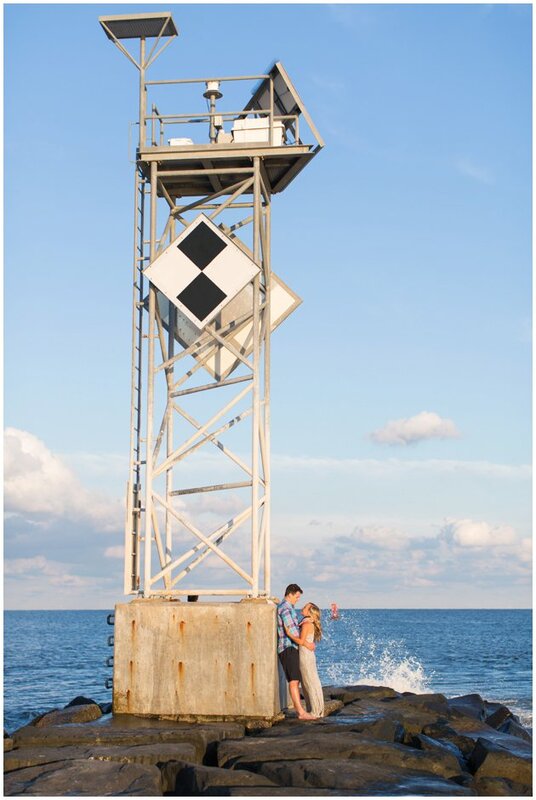 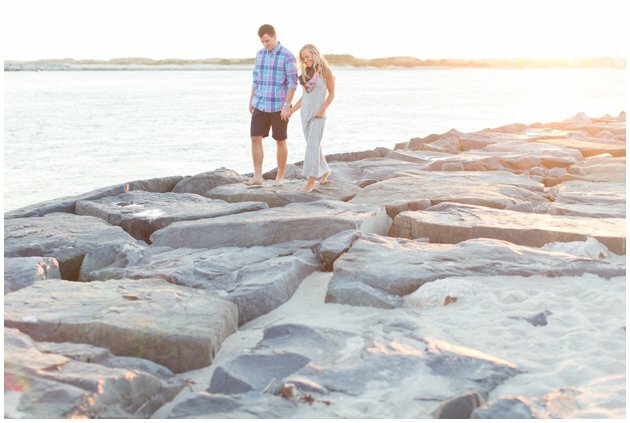 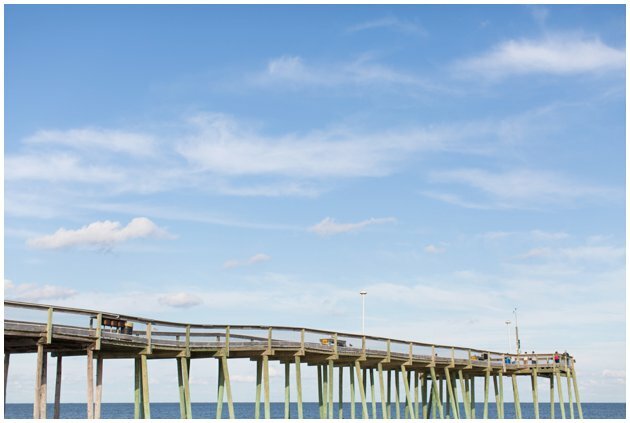 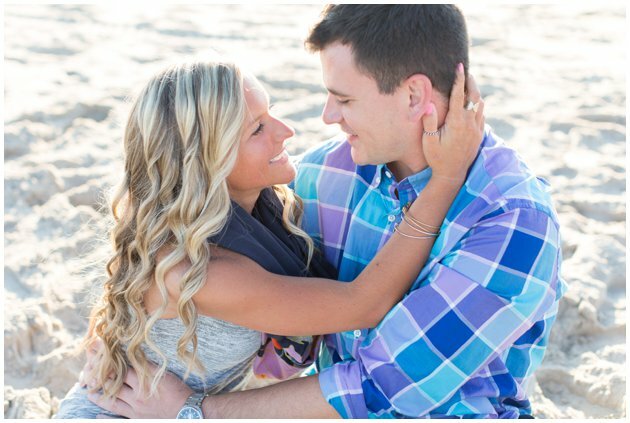 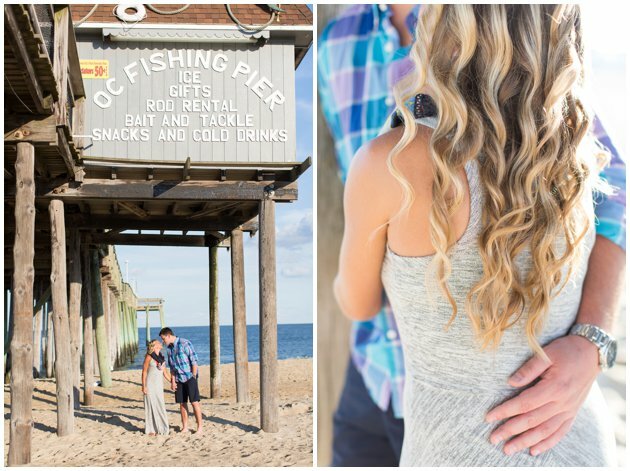 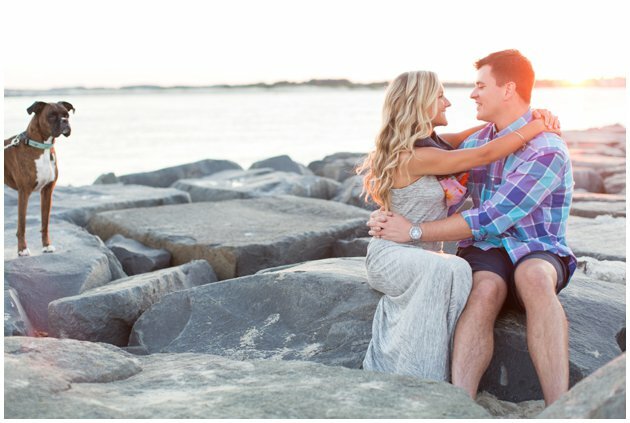 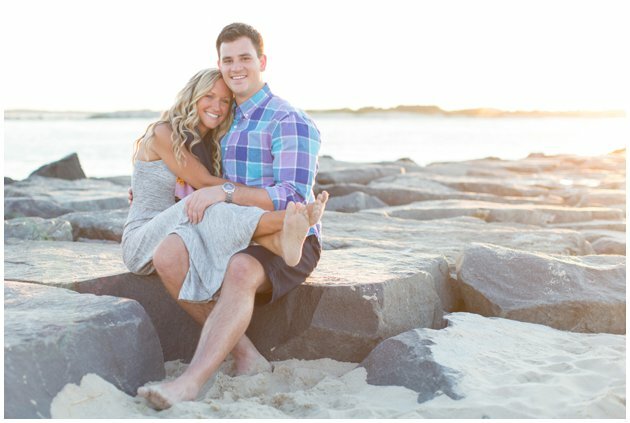 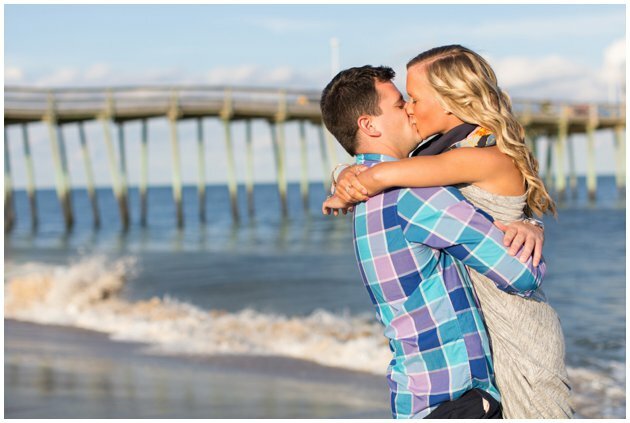 There’s just something magical about April & Brett’s beach engagement at the inlet of Ocean City, and we can’t get enough! 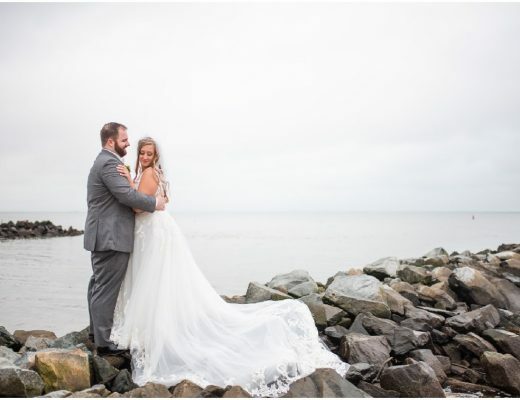 From Laura of Laura’s Focus Photography: April and Brett first knew of each other when they both attended the same high school near Baltimore. 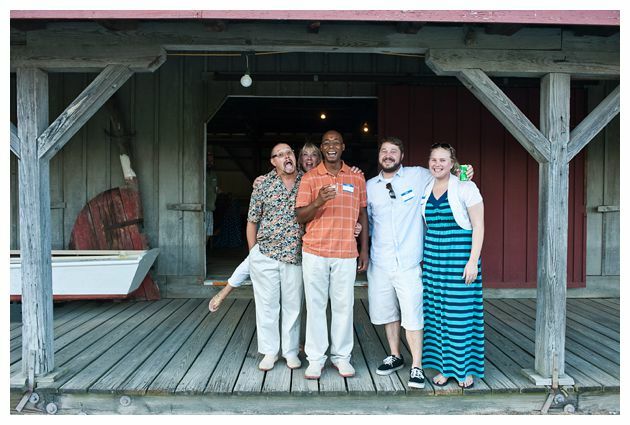 It wasn’t until after college that they were reunited at Boordy Vineyards while listening to live music. 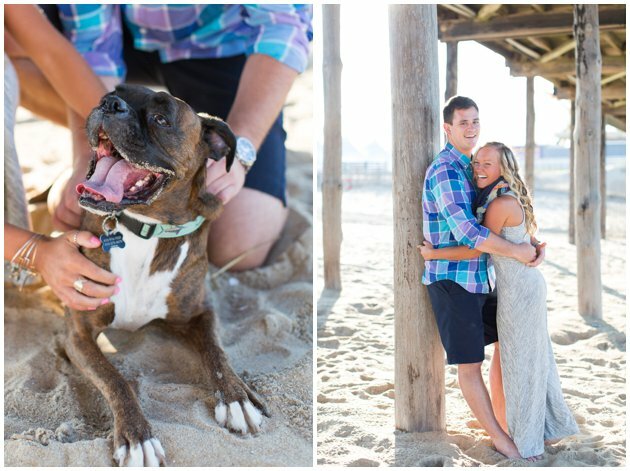 These two hit it off immediately and discovered they both have a love for the beach and Ocean City in particular! 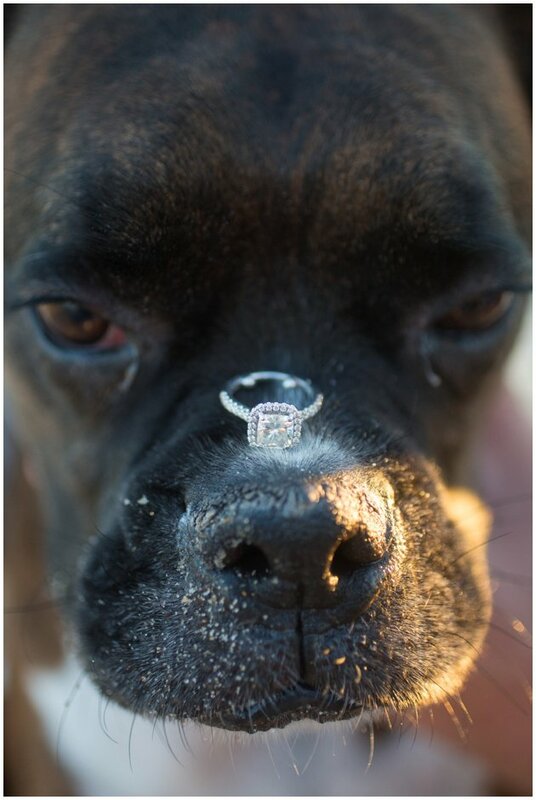 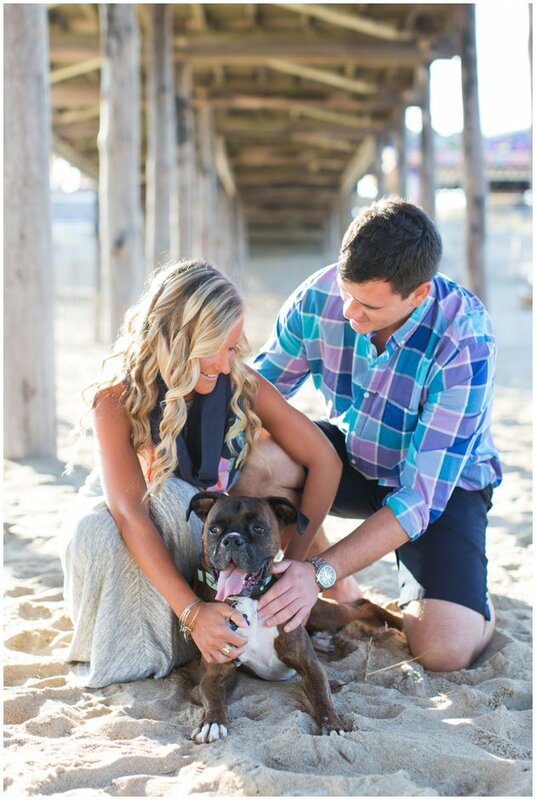 Brett surprised April with a proposal and a stunning engagement ring while taking their boxer dog, Boh, for a walk! 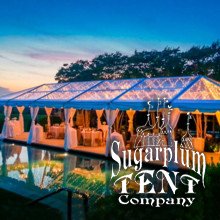 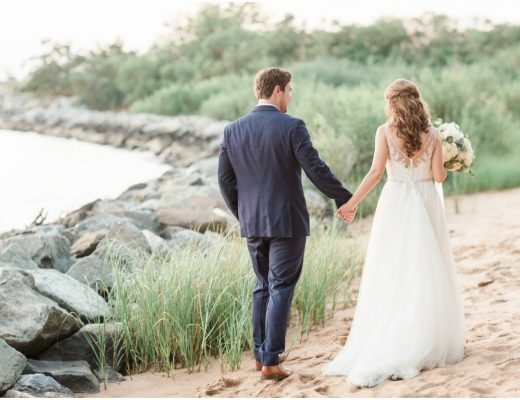 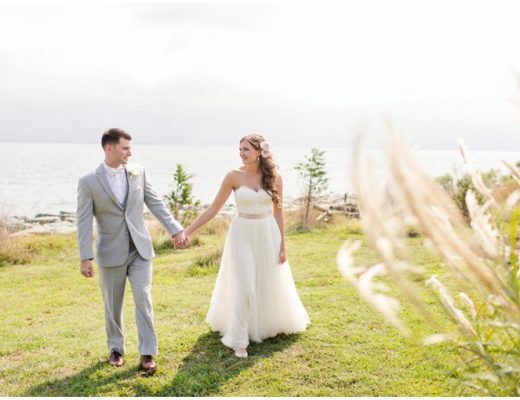 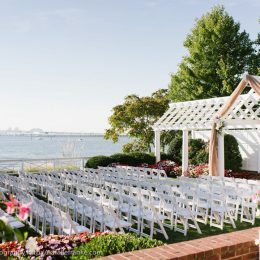 These two knew they wanted to get married near the water so they chose the beautiful Chesapeake Bay Beach Club for their wedding day next September. 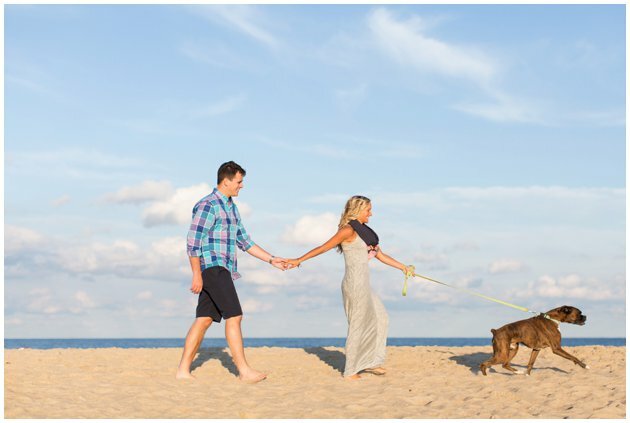 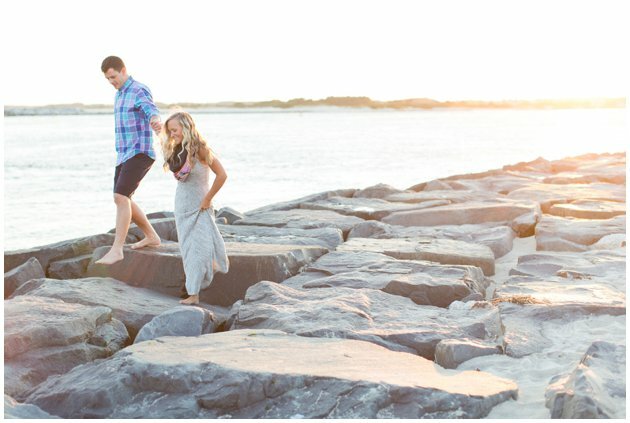 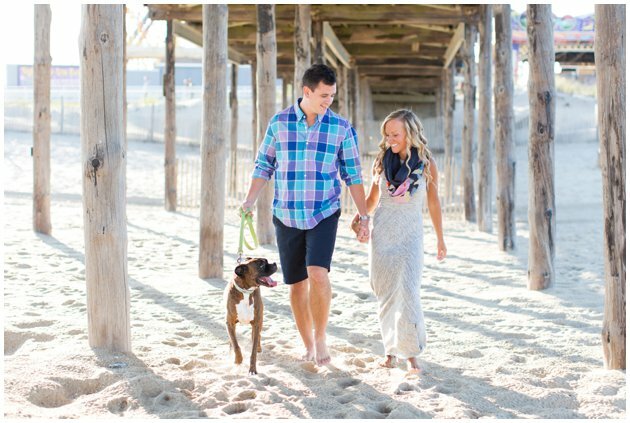 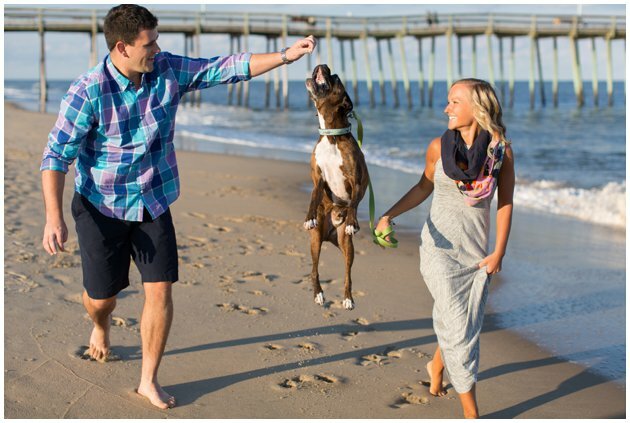 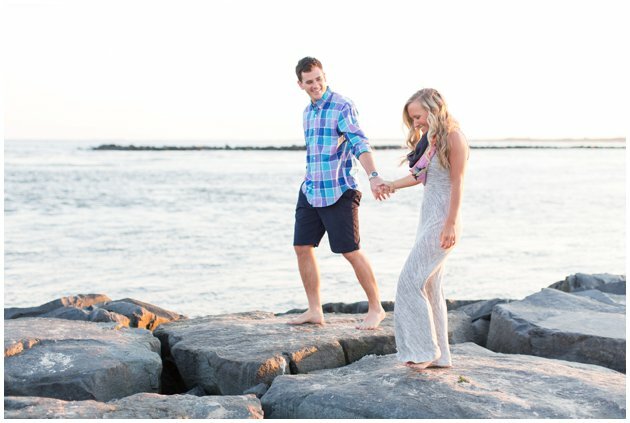 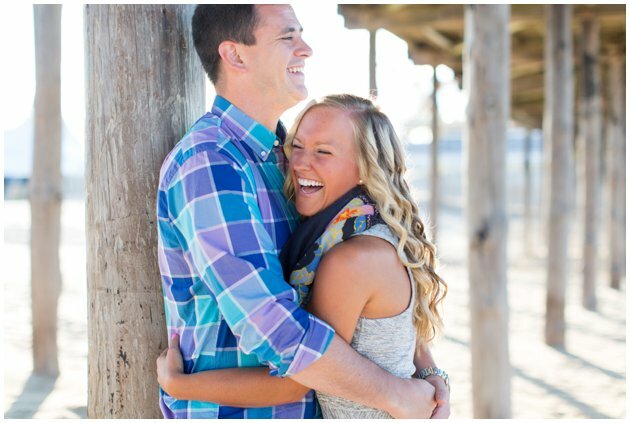 For their beach engagement session, April and Brett wanted to spend some time around the inlet of Ocean City, and even Boh the boxer came along! 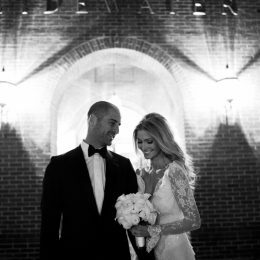 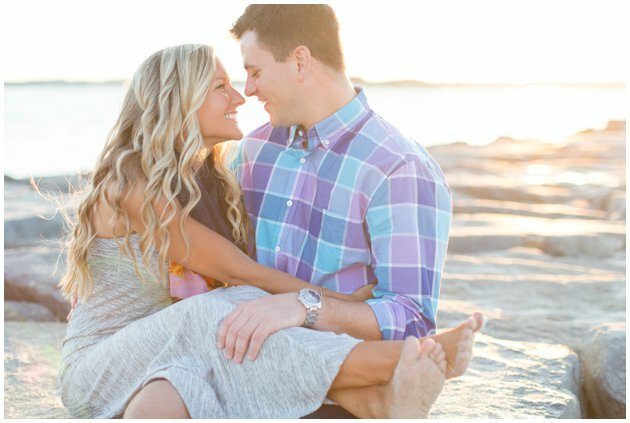 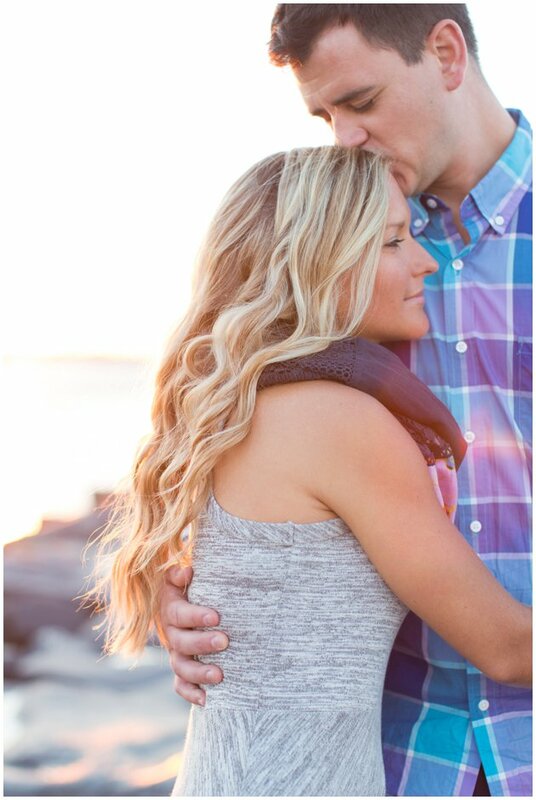 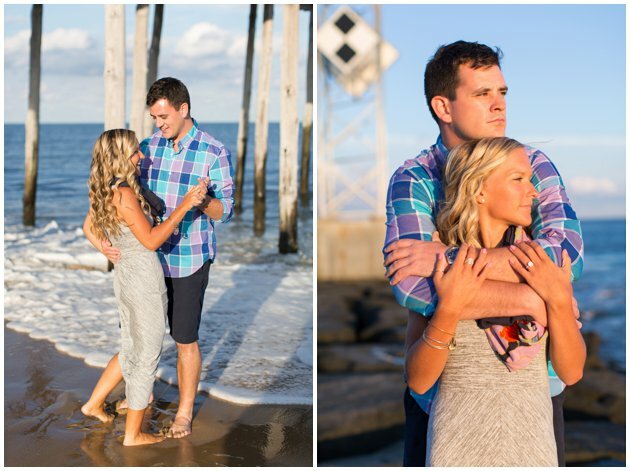 This sweet couple and some gorgeous light made for some beautiful pictures! 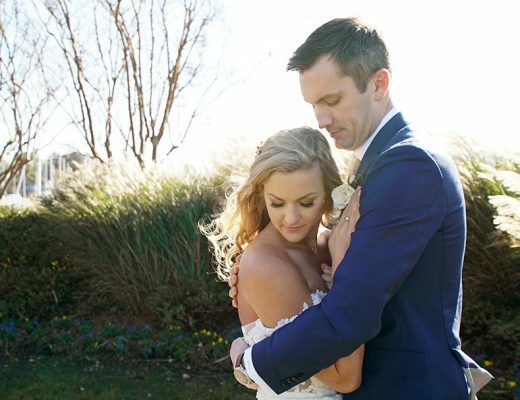 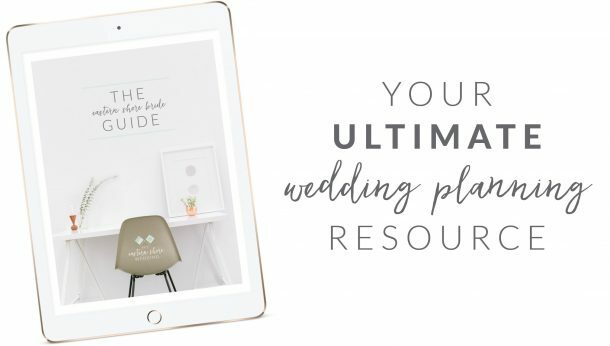 Gorgeous Garden Party Inspired Wedding, 12 Years in the Making!